Arbor Vista offers a beautiful location, manufactured home sites, and premium lots. Review our selection of pre-owned manufactured homes and new manufactured homes for sale! If you’d like more information, you can call us today at (888) 399-3428 or fill out our simple online form. 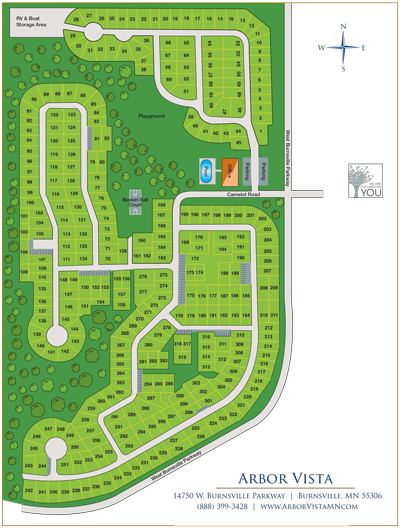 Click here to download a PDF of the site plan.